Hope all of you had a nice and rejuvenating weekend. Mine are getting hectic by the day with an approaching family wedding. Lots to shop and plan about, stay tuned for a bridal series on makeup and shopping. 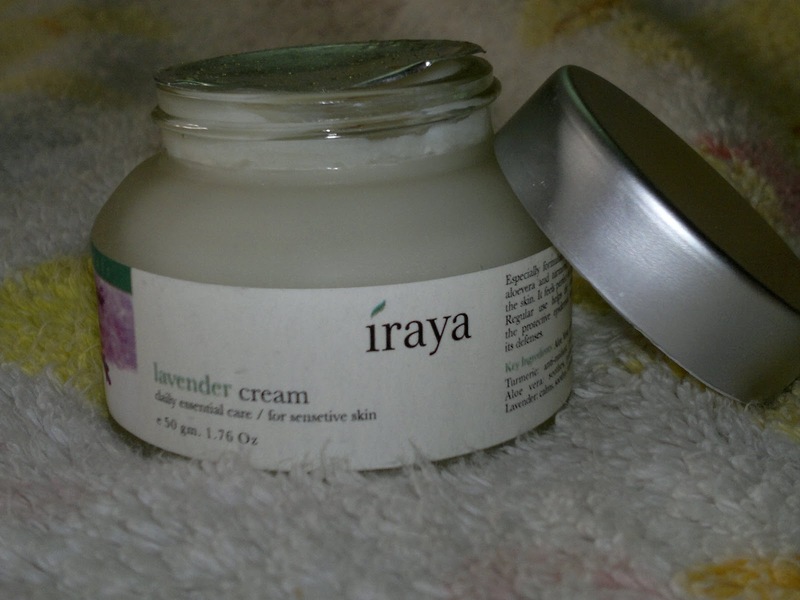 So, the product under review today is Iraya Lavender Cream, one of my recent purchases. I had made certain changes to my routine since the onset of summers here in North India, with this being the replacement of my winter night cream. 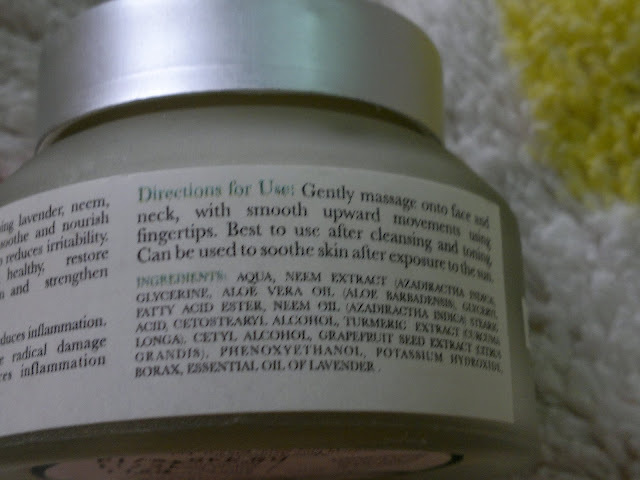 Price: INR 445 for 50 ml of the product (I got this on a discounted price of INR 400. 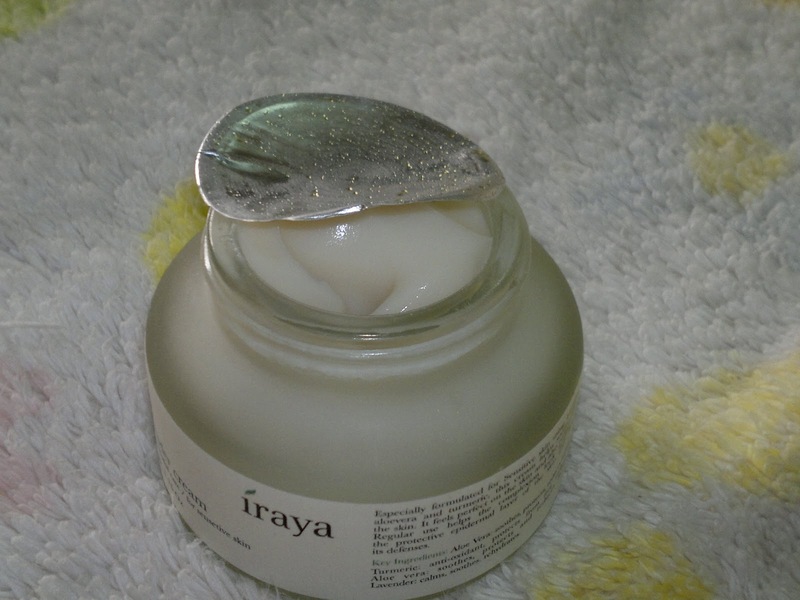 Packaging is something, which I quiet like with the cream enclosed in a heavy glass jar with a tin / aluminum cap. My experience has been quiet good with this cream. First, it didn't break me out at all, in fact the break outs I was facing have been on the decline since I have started using this cream. 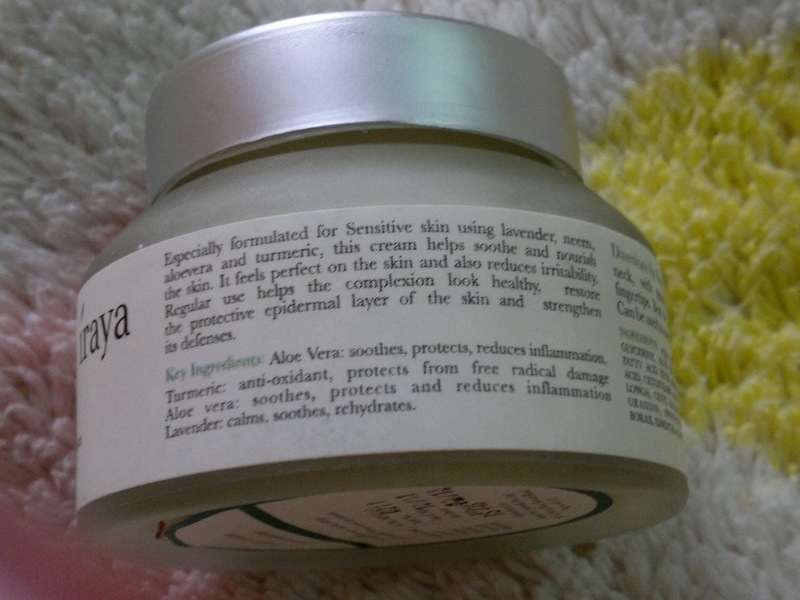 Second, the texture of the cream is light yet it moisturizes very effectively. Third, the cream spreads easily and evenly over the skin. Fourth, the amount shown in the swatch above is enough for application to the entire facial area. Fifth, I have noticed my skin tone and complexion getting better and brighter since using this cream,. Sixth, the smell of the cream is quiet lavender-y but not very pleasant but more towards medicinal / ayurvedic smells, though that is dispersed within a minute of application and doesn't last long on the skin. Product rating: A, available at Iraya stores and online via Urbantouch. The oily skinned beauties as well as beauties with normal / combination skin should give this a try, you wouldn't be disappointed. This cream has become a must have product for me this summers. kumkum this cream is meant for mosturising only or something else? I was waiting for iraya product's review. Thank u for reviewing! will surely try out! I just bought this after reading your review. Fingers crossed, hope it works out for me.